After more than a year of study, reviews and evaluations, the Dept of National Defense's Bids and Awards Committee finally released a 2-Stage bid process for two (light) frigates in early October 2013. After several postponements on the initial opening of the 1st stage, it was finally conducted on 07 Dec 2013. Seven suppliers/shipyards submitted their bids. Meanwhile, three others were disqualified due to flaw in their documents. They, however, filed for motions of reconsideration of the ruling. By April 2014, Garden Reach Shipbuilders & Engineers Ltd. (India) and STX France SA (France)'s motions for reconsideration were approved. This brings to six as the total number of approved 1st-stage bidders. 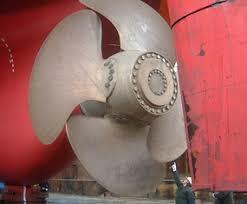 Ultimately, it was only ThyssenKrupp Marine Systems TKMS (Germany) that didn't qualify. In August, 2014 -: DND ASec P Velez revealed that due to some possible export restrictions by the gov't of the munition suppliers, it was tentatively decided that the monolithic project will now be split into two portions : about P15.5B (1USD:PHP44.5 = $348M) for the actual ships with some operational fit and P2.5B for ammunition of these ships. In Nov 2015 -: Dept of Natl Defense (DND) was finally given authority by Pres Aquino to enter into Multi-Year Contracts (MYC), paving way for the FF-AP to move further. This only actually came after Pres Aquino approved the remainder of the AFP Mod Project Horizon-1 List (2013-17). By Feb 2016 -: The 2nd Stage of the bid process finally commenced. Updated Technical Specs was released. The FF-AP was indeed split into Platform Lot and Munitions Lot. The main FF-AP was transformed into the Platform Lot, which notably deleted the supply of missiles and ammunition from the bid; although weapons launchers remained part of the platform. Approved budget was set at P16M, which is slightly higher by P 0.5B over the Aug-2014 pronouncement. Bids were finally opened on March 17, 2016. Out of the six qualified bidders, only four submitted their bids. Daewoo (DSME) and Navantia's bids were declared 'unresponsive'. GRSE was declared as the Lowest Calculated Bid (LCB), while Hyundai (HHI) was the 2nd LCB. However, in a Post-Qualification verification conducted later, GRSE's bid was disqualified due to financial issues (NFCC). 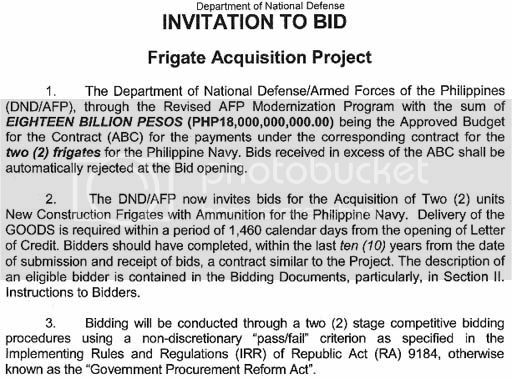 Hyundai, which had submitted the second lowest bid, passed the post-qualification -- and on 18-Aug, the new DND Sec Delfin Lorenzana approved the Notice of Award for HHI to deliver the two frigates based on the timeline on the bid. Contract was set to be signed in late September. 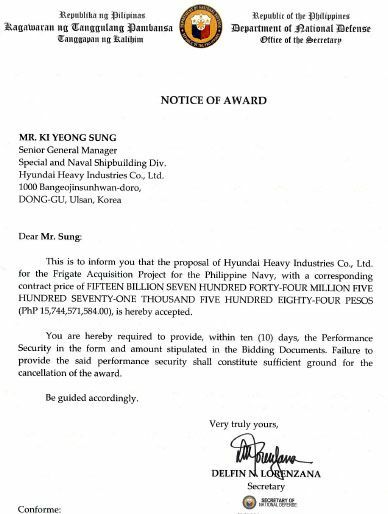 The notice, which indicates a contract price of PHP15,744,571,584 (USD337 million), was signed by Secretary of National Defense Delfin Lorenzana and addressed to the senior general manager for HHI's special and naval shipbuilding division, Ki Yeong Sung. The Philippine Department of National Defense (DND) first launched the two-ship frigate acquisition programme in October 2013 to meet the PN's long-range maritime surveillance, patrol, and interdiction capabilities. The PN's weapons wishlist for the warships is currently unknown but an updated list of requirements for the frigate acquisition programme released by the DND in early 2016 calls for no degradation of anti-air and anti-surface capabilities at Sea State 5, and no degradation of anti-submarine warfare capability at Sea State 4. ADAS2016, will we see a contract signing? 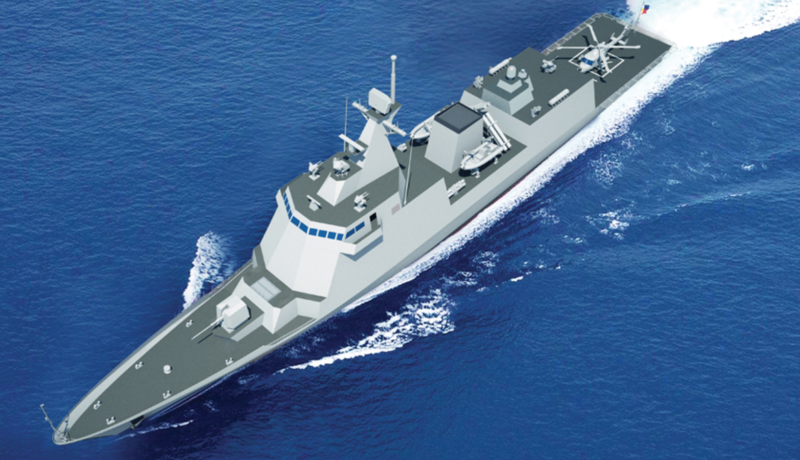 The frigates will be designed to be a smaller light combatant and successor to the Incheon class frigate which is now in active service for ROKN tailored to the requirement of the Philippine Navy with applying optimized range of good marine standard under naval rule from Lloyd Register, classification society. The 107 meter frigates to be propelled with CODAD (Combined Diesel and Diesel) propulsion system with maximum speed of 25knots can cover a 4,500 nautical miles range at cruising speed of 15 knots. The naval vessels will inherit the enhanced survivability, seakeeping and maneuvering capability of her mother ship operable up to Sea State 5. 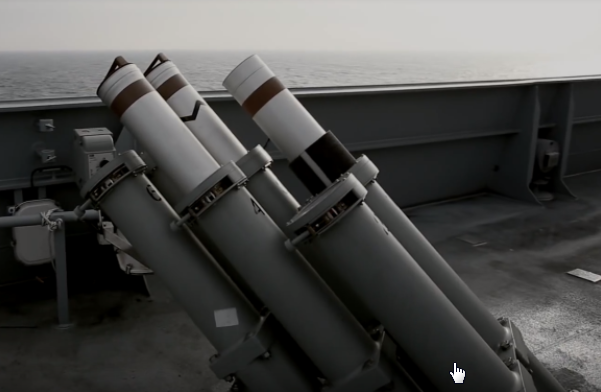 The frigates heavily armed with missiles, torpedo, guns and sensors controlled by the latest combat management system are capable of conducting Anti-Air Warfare, Anti-Surface Warfare, Anti-Submarine Warfare and Electronic Warfare. The frigates are scheduled to be handed starting from 2020. Since the delivery of the first Korean-built frigate ROKS Ulsan in 1980, HHI has played a pivotal role in the modernization of ROK Navy designing major warships. And evidently it now expands its service to worldwide navies with advanced, affordable warships. Rather disappointing on the 30mm DS30M / Seahawk mounting on hangar. 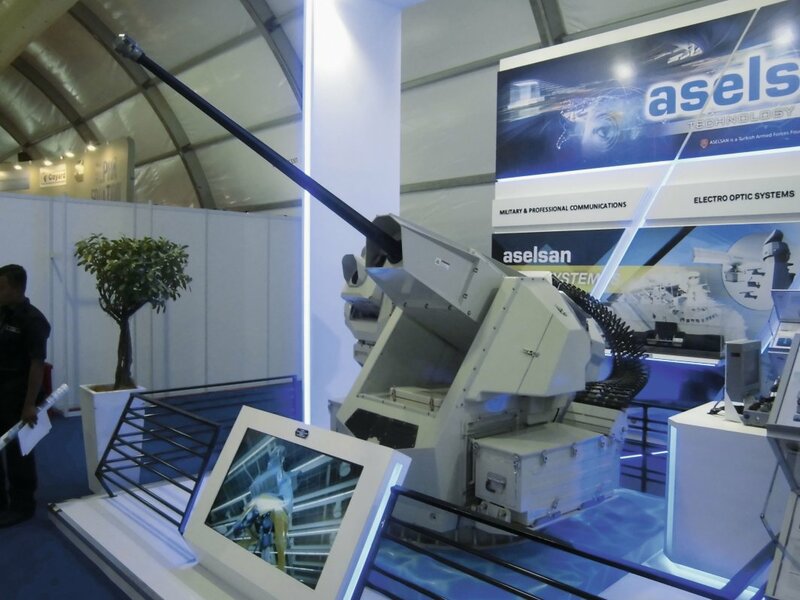 That system is a remote weapon system much like the BAE Mk.38 Mod.2 25mm. 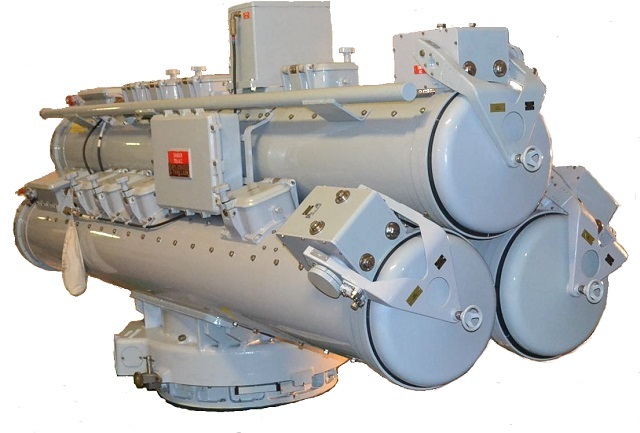 It's not a CIWS and can't be used to shoot down missiles. It's primarily purpose is for inner defense against small crafts. But by putting it on the roof top means it would be unable to depress the gun much (one of the reasons why a pair is usually installed on each sides). Well, it's still early days. Maybe they will change their minds. South Korean shipbuilder Hyundai Heavy Industries (HHI) has given further details of the two frigates that it will be constructing for the Philippine Navy (PN). The details were given in a media release on 24 October announcing that the contract to build the ships has been formally signed with Philippine defence secretary Delfin Lorenzana. HHI received a notice of the PHP15,744,571,584 (USD311 million) award earlier in 2016. 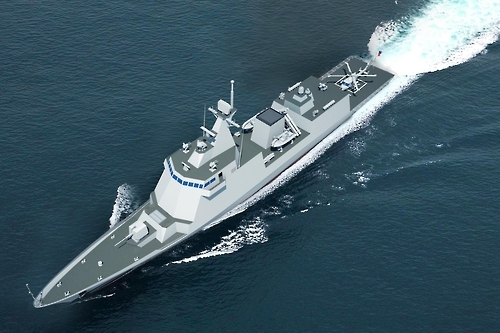 The company was previously reported to have won the contract with a design based on the company's HDF-3000 multipurpose frigate design, which features an overall length of 114.3 m, and has been used as the basis for the Republic of Korea Navy's (RoKN's) Incheon (FFX-I)-class guided-missile frigates. HHI has since disclosed in its media release that the platform will instead feature overall length of 107 m, a standard displacement of about 2,600 tonnes, and an operational survivability up to Sea State 5. The frigate has however been described by HHI as one that inherits main design features of the Incheon class, albeit with a lighter displacement. The ship will feature a combined diesel and diesel (CODAD) propulsion system, and feature a maximum speed of 25 kt, with a standard range of 4,500 n miles at 15 kt. 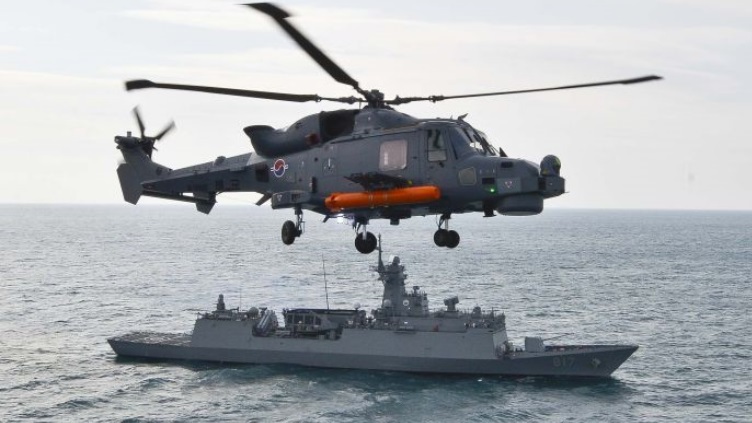 HHI did not disclose in writing specific details of the platform's weapon systems, saying only that the frigates will be "heavily armed with missiles, torpedo, guns and sensors", and that they will be capable of anti-air, anti-surface, anti-submarine and electronic warfare. 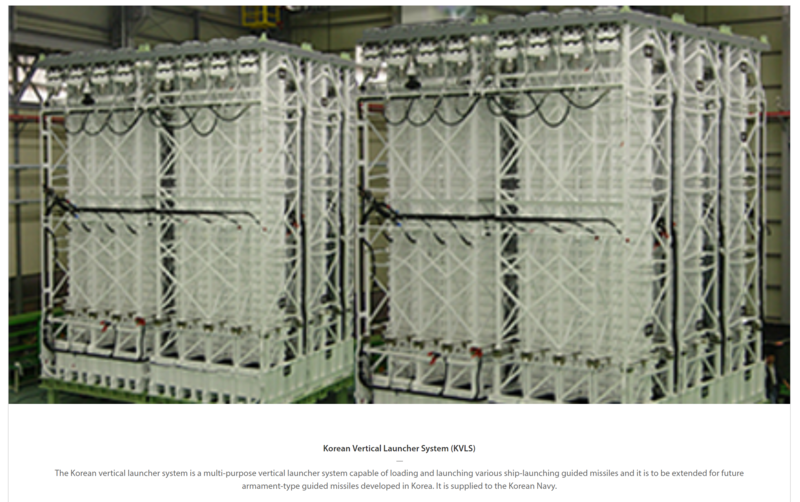 However a computer generated image of the platform accompanying the media release shows an eight-cell vertical launching system (VLS) installed at the forward section, just behind the platform's primary weapon that will most likely be a 76 mm naval gun. The missing part from Janes's article. I will remove if required as this is for paid subscribers, which I have access. Also pictured amid-ship are four (two twin) anti-surface missile launchers mounted diagonally, and two triple torpedo tubes, each located on the port and starboard sides. 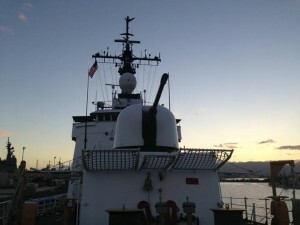 A remote-controlled weapon system (RWCS) turret is depicted at the platform's stern section, facing its flight deck, while a couple of what appears to be the MBDA-SIMBAD anti-air defence system turrets are located above the ship's bridge, one each to the left and right of its fire-control radar pedestal. This sensor will likely be the STIR or STING series of electro-optic fire-control directors from Thales. Another sensor that may have been depicted in the image is either the NS100 or NS200 electronically scanned array (AESA) from the same company. The ship can accommodate one helicopter on its flight deck, and two rigid hull inflatable boats mounted on davits found on the port and starboard sides. The frigates are scheduled to be handed over to the PN from 2020, said HHI. ^ All of those items are already shared on public blogs, so I don't think that new information has been added. BTW, @Lionflyer -- which variant of the NS100 is currently installed with RSN's LMV? 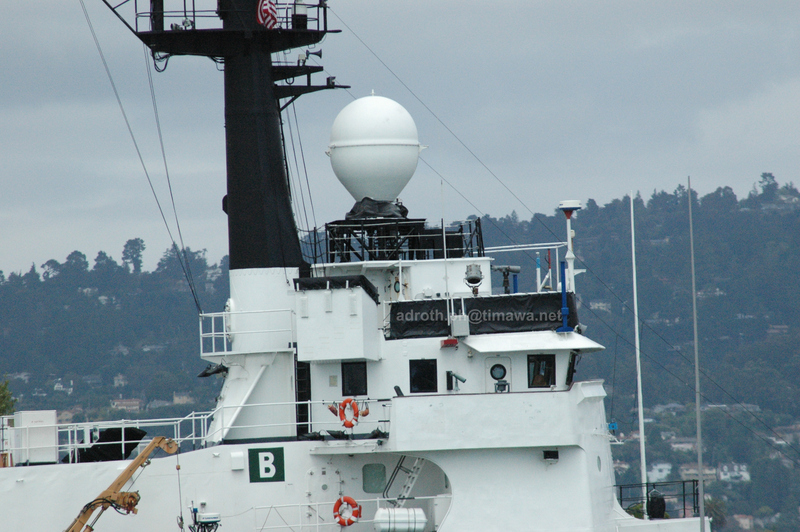 For the secondary gun placement, the MSI's location may just be a placeholder for a future CIWS. Lots of speculations in this aspect. What seemed to be obvious, though, is the shift in caliber from the existing 25mm to 30mm. Also -- only a single unit was required in the bid (budget-constraint). 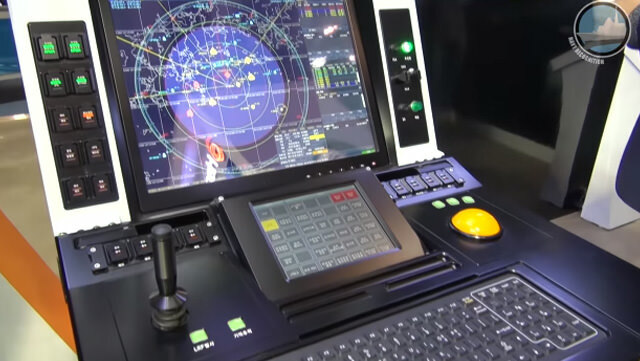 Thales Netherlands is an amount of more than 52 million radar systems provide the Navy of Singapore. According to a letter to the Ministers Frans Timmermans (Foreign Affairs) and Lilianne Ploumen (Foreign Trade and Development) this summer sent to parliament. It is according to the letter to eight radar systems as NS-106, which can detect and track both air and sea targets. 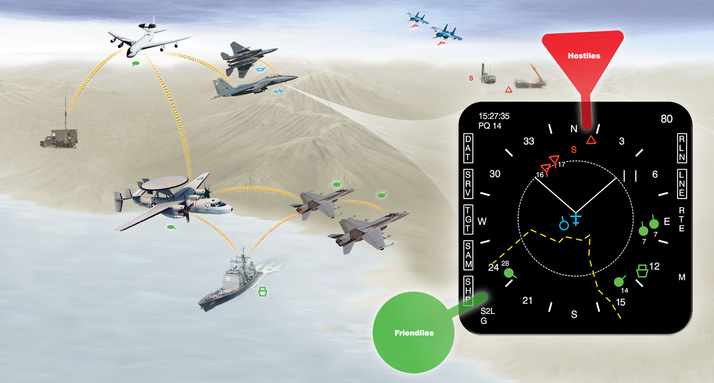 The NS-100 family 'radar systems is provided with new technology that makes it possible to let the sensor quickly "reconfiguration", by letting switch function. 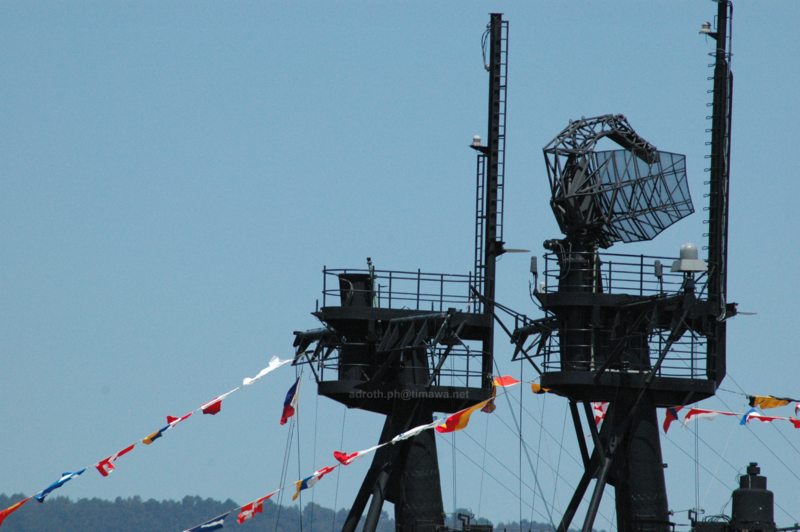 Singapore is the launching customer for the radar. The Secretary of National Defense, Hon. 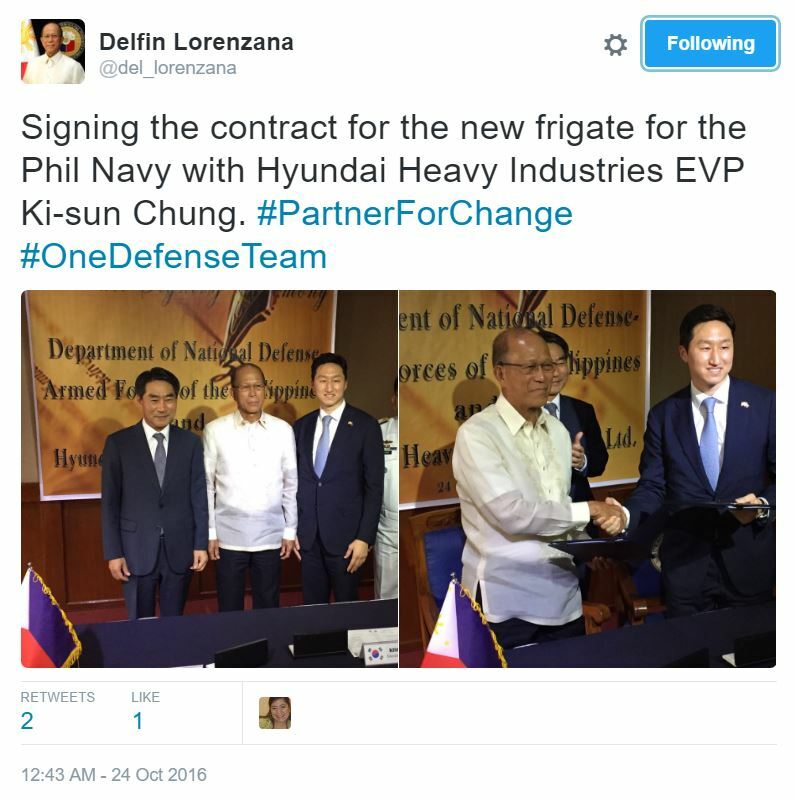 Delfin Lorenzana, graced on Oct. 24, 2016 the ceremonial contract signing of the Frigate Acquisition Project, as the principal signatory of the contract together with officials/delegates from Hyundai Heavy Industries (HHI) (Korea). The project involves the construction and delivery of two unit of Frigate to the Philippine Navy. The signing of the contract signals the start of the construction and is the culmination of the long and tedious procurement process for the project. As a background, the Notice of Award was approved, issued and was duly conformed by HHI on Sept. 13, 2016 with the amount of Three Hundred Thirty Six Million Nine Hundred Twelve Thousand US Dollars(USD 336,912,000.00) or Fifteen Billion Seven Hundred Forty Four Million Five Hundred Seventy One and Five Hundred Eighty Four Pesos (Php 15,744,571,584.00). Witnessing the event were Ambassador of South Korea to the Philippines Jae Shin Kim; Assistant Secretary for Acquisition, Installation and Logistics Jesus Rey Avilla; Undersecretary for Financial Management Josue Gaverza Jr; Deputy Chief of Staff for Logistics Maj. Gen. Job Yucoco and his assistant, Brig Gen. Arnulfo G Rafanan; Senior Military Assistant Brig Gen. Arnel Duco; and Philippine Navy Vice Commander Rear Adm. Rafael Mariano. On the other hand, distinguished members of HHI delegation included the Senior Vice President/Owner HHI, Ki Sun Chung; Senior Sales Officers Ki Young Sung and Jae Rak Kim; Technical Sales Officer, Unchul Kim; Project Consultant, Myeongok Han; and Local Representative, Yolanda Lim Gamba. Also present in the signing were the Chief of Naval Staff, Read Adm. Gaudencio C Collado; Commander of Philippine Fleet, Rear Adm. Bayani Gaerlan; Commander of Western Command, Vice Adm. Ronald Joseph Mercado; Philippine Fleet Commander, Rear Adm. Bayani Gaerlan; Naval Sea Systems Commander Virme Torralba; and Project Management Team Chairman, Commo. Robert Empedrad and members. The activity is of utter significance to the Department of National Defense and to the Philippine Navy, in particular. It is the single most expensive project yet that will be signed by the current administration. The project, likewise, is the biggest project yet for the PN. Most importantly, this marks the entry of the PN into its quest to be a strong and credible navy by year 2020. The acquisition of the two brand new and modern Frigates serves as a “Big Step” in realizing a once a dream of a world class and well equipped Philippine Navy, capable and credible in protecting its people, and the sovereignty of the land and the interest of its national territory. On a related note -- without overly knowing yet the details and technicalities of both builds -- Does it appear on paper -- that PN's FF-AP (~$168M/unit) is relatively a good deal compared with (Indonesia) TNI-AL's PKR10514's contract price of $220M/unit? While the PKR vessels are being delivered with a core mission system supplied by Thales Nederland - including the TACTICOS combat management system, SMART-S Mk 2 surveillance radar, STIR 1.2 EO Mk 2 radar/electro-optical tracking system, and Kingklip hull-mounted sonar - the only weapon system included in the original contract was a single Leonardo (Oto Melara) 76/62 Super Rapid gun. 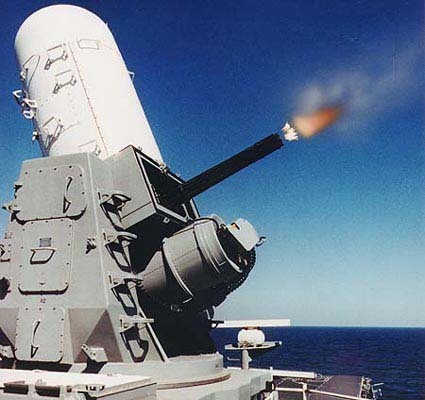 However, space, weight, and service provisions were included in the SIGMA 10514 design to enable the retrofit of additional 'fitted for but not with' (FFBNW) weapon systems, including a point-defence missile system, a surface-to-surface missile system, and a close-in weapon system. One thing -- ToT and modular construction is one of the premium that TNI-AL is willing to pay (on behalf of PT-PAL). Indonesia went with a particular sort of multi-year export-credit financing. Easier terms usually means a larger principal. I'll note that ToT didn't quite go as far as the MOU seemed to originally outline. Some of the SIGMA modules were built at Vlissingen, not Persero.